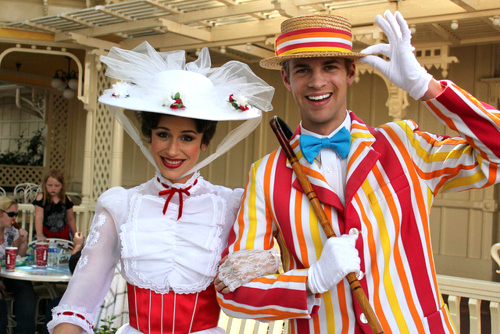 Bert and Mary Poppins at Disneyland. Bert and Mary Poppins at Disneyland. Wallpaper and background images in the 迪士尼 club tagged: bert mary poppins disney california disneyland. This 迪士尼 photo contains 发动机罩, 发动机罩捅, 阀盖, and 戳盖.